The HARP Home Loan Program Can Help You Refinance Your California House Without Having Equity With Fannie Mae or Freddie Mac's Refinance HARP Loan Program. If your current Note on your home in California is owned by Fannie Mae or Freddie Mac prior to May 31st 2009, you can refinance your existing home loan into a lower fix rate even without an appraisal being performed on your property, that will save you the fee for the appraisal report. This is a rate and term only refinance, no cash out is allowed. Even if the loan is on an investment property, you still can qualify for the program, other factors will play a roll in qualify for the HARP home loan program, such as income, reserves, credit scores and debt to income ratio. Before you think you do not qualify for this loan, think again.  I just recently closed a HARP loan on a homeowner with no appraisal, middle credit score of a 680 and debt to income ratio at 63%. That is the power of the HARP home loan program in Southern California, so if you are unsure if your property is owned by Fannie Mae or Freddie Mac, simple click on the link HERE, complete your name, address of the subject property and the last 4 of your social security number, need this information to add into Fannie Mae or Freddie Mac's site so it will cross reference your information to see if one of those GSEs owns your note. If you wish to look this information yourself click on the links Fannie Mae and Freddie Mac, it will ask you for the same items. The HARP Refinance Home Loan Program is set to expire on December 31st 2015, do not wait to explore your options with a program like this. 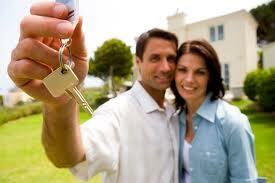 Rate are still low and with a program like this that doe snot require an appraisal, saving you time and month. You can also skip up to 2 mortgage payments saving you even more money. Do not delay, I welcome the opportunity to speak with you about the HARP loan program in California. Call to text me directly at 909-503-5600 to see how you can start saving and lock you into a low fix rate or email HERE, I look forward in hearing from you.